Raj Singh Dungarpur, the former BCCI president, has died aged 73 following a prolonged illness. He represented Rajasthan as a medium-pacer for 16 seasons starting in 1955, but he was better known as an administrator, who held top positions in Indian cricket. He was the BCCI's president for three years from 1996, served as the chairman of the national selection committee (including when Sachin Tendulkar was first picked in the Indian team in 1989), and was also the Indian team manager on several tours, including the victorious trip to England in 1986. He was also president of the prestigious Cricket Club of India for 13 years. Rajbhai, as he was affectionately known, was the youngest son of Maharawal Lakshman Singhji, the ruler of Dungarpur. He took 206 wickets at 28.84 for Rajasthan in 86 first-class matches before retiring and focusing on cricket administration. The Indian board paid tribute to the work done by Dungarpur, calling him a 'visionary' for his role in setting up the National Cricket Academy in Bangalore. "It is a great loss to Indian cricket. 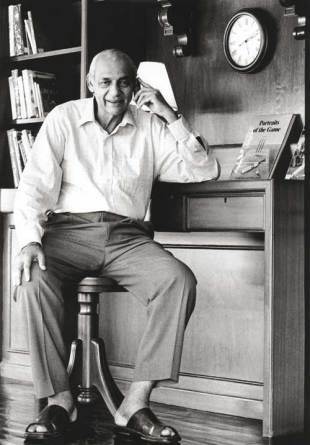 Rajbhai served Indian cricket diligently and with distinction, in several capacities," BCCI president Shashank Manohar said. "He was a self-effacing individual who always put the sport, and Indian cricket in particular, above everything else."